Does “fast travel” break the atmosphere of an open-world game? Ahoy hoy, Gameological compatriots! This weekend, I’m going to be spending some more time with The Legend Of Zelda: The Wind Waker HD on Wii U, which I’ve been working on for the past month or so (partly in preparation of an upcoming For Our Consideration). As I’ve mentioned before, the GameCube was an integral part of my formative gaming years (I may be the baby among Gameological’s writers), so this has been a nostalgic experience for me. Even without the veil of happy memories, though, this spruced-up remake performs rather nicely and is, warts and all, just as satisfying to me now as it was when I was younger. I even like the sailing. Actually, I love it. I remember that feature being harshly criticized after Wind Waker’s release, but I never got upset about having to sail across the open seas. Wind Waker’s oceans are living things. Some are choppy and violent; some are clear and smooth. And they’re peppered with secrets and tiny islands to investigate. The sailing is a relaxing way to spend time in that world, and it bolsters the sense that the seas are vast and begging to be explored. 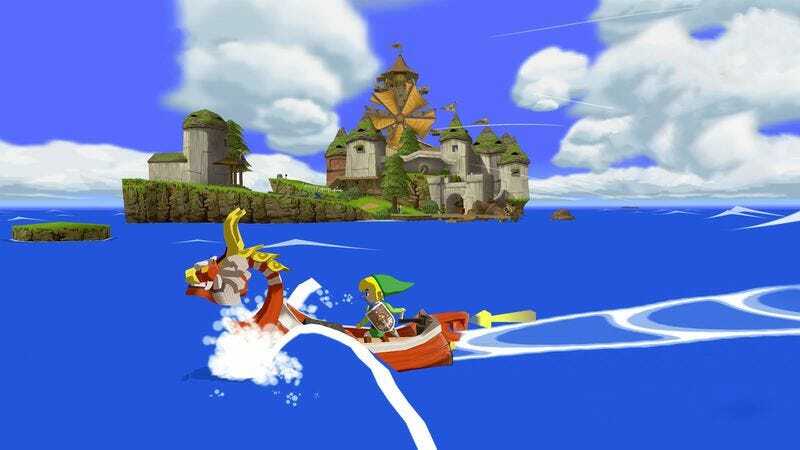 Maybe Wind Waker’s boating has benefited from the mass inflation of game worlds since its release in 2002. Trekking across its ocean is not nearly as time-consuming and tedious as traversing the humongous worlds of modern games like Grand Theft Auto V. Even in the bigger fare, though, I get a good deal of joy out of just getting from place to place. At its best, open-world travel is rewarding in itself, and I avoid fast travel as much as I can. The ability to teleport around is nice, especially for games with dozens of hours of activities, but it never fails to pull me out of the world. I’m not much of a hiker in real life, but in games, that exploration helps to get me steeped in the atmosphere. I’m interested in hearing what you think. Do you use fast travel? If you do, do you find it pulls you out of the game and hurts the experience? Is traveling through huge maps a fun world-building exercise or just filler?